It needs to be SPF 30 or above - apply daily and all year round. The sun and its harmful effects can be one of the most damaging elements our skin has to face. Not only does this lead to formation of lines, wrinkles and discolouration - it can lead to more serious skin conditions, including skin cancer. 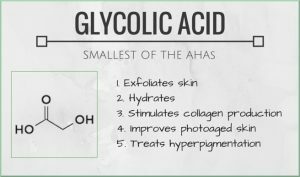 Glycolic acid can be found in a variety of skincare products like cleansers, moisturisers and treatment products. Glycolic Acid increases the turnover of skin cells enabling the dead skin to peel off and reveal the fresh, healthy skin with a translucent glow and a more even texture. It also encourages collagen production. Retinol is applied at night. 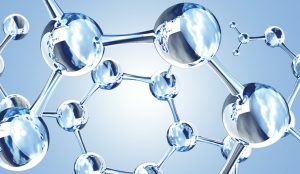 Retinyl palmitate is a cosmetic form of retinol found in skincare products like moisturisers. 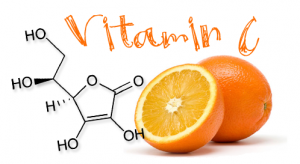 Pure retinol is considered more effective than retinol derivatives for treating ageing skin. Hyaluronic acid provides an incredible moisturising effect while helping to plump out those line lines and wrinkles.